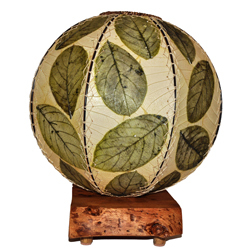 The Driftwood Orb lamp contrasts a weathered driftwood and heavily textured jackfruit leaves with the clean lines of the globe-shaped shade. 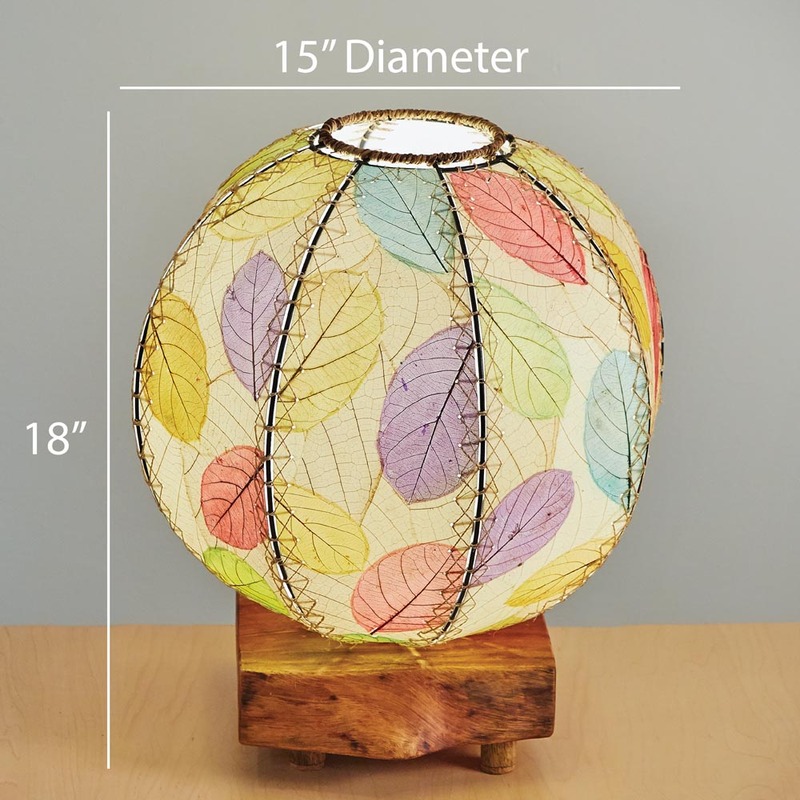 This contrast continues throughout the shade as darker colored leaves are placed over lighter, natural colored leaves. 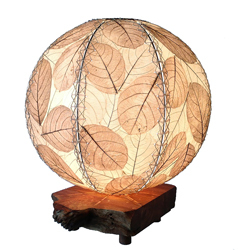 Features fossilized jackfruit leaves that are handplaced on a standard UL lamp backing and then laminated, creating the side panels of the lamp. 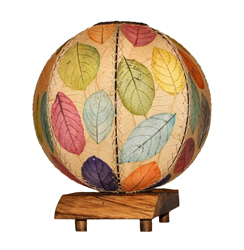 The panels are handstiched onto a powder coated, wrought iron frame to form a spherical shape. 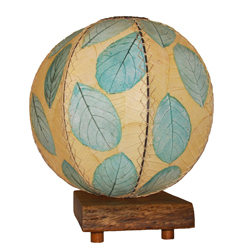 The shade is fastened to a driftwood base with small wooden legs.